Welcome to the Cuphead Wiki! the Cuphead reference written and maintained by the players. We are currently maintaining 287 pages (22 articles). "With Cuphead, the aim is to evolve the genre by adding new features such as: super arts, infinite lives, a playable world map and hidden secrets. In addition to that, there will be refined controls, additional boss patterns on harder modes and balanced weapons to equip. The plan is 10-15 bosses per episode and end up with over 30 bosses." 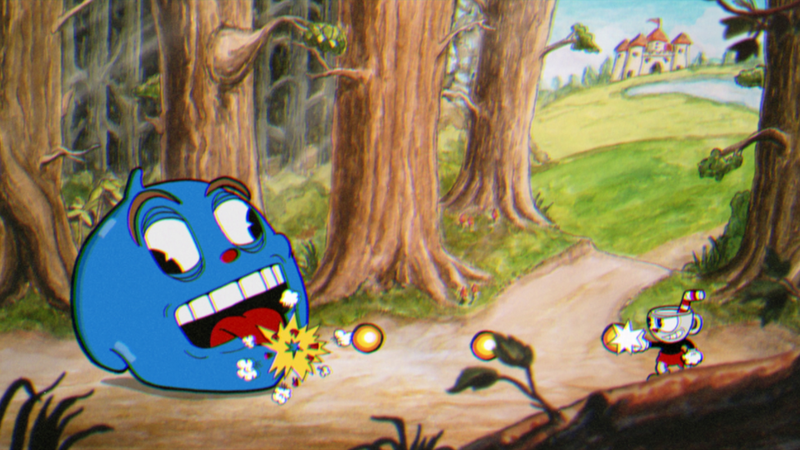 "When we were designing Cuphead, we wanted the game to be more reaction-based than just straight memorization. Great games like Contra III/Hard Corps mainly used repeating patterns that appeared in the same order every time - we feel this pattern formula tends to have less surprise on subsequent replays. On the other end of the spectrum, a game like Mega Man has a lot of proximity based patterns to mix things up – but this can let you take advantage of the boss by forcing the AI into the same series of attacks." Don't Make A Deal With The Devil! 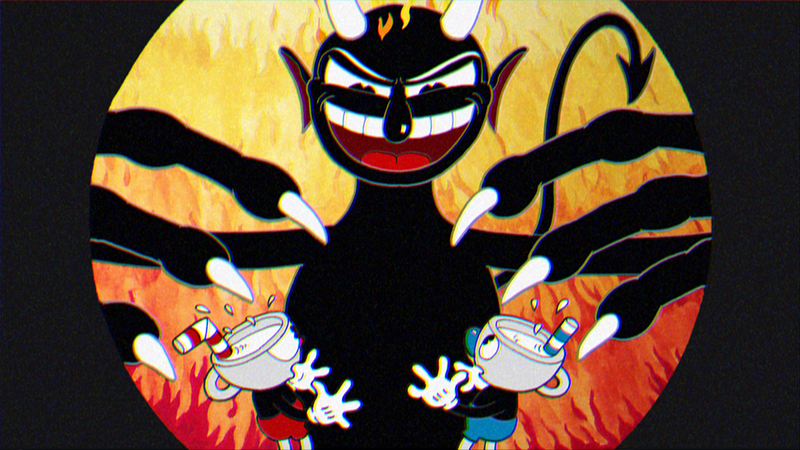 - Cuphead and Mugman rolled the dice and lost to the Devil. Now they have to repay their debt by doing his bidding! Brothers In Gloves! - In two player local co-op mode, play as Cuphead and Mugman together to take down these Hooligans! Intense, Non-stop Action! - Master multiple Weapons and defensive Abilities with precision controls against furious adversaries! Take To The Skies! 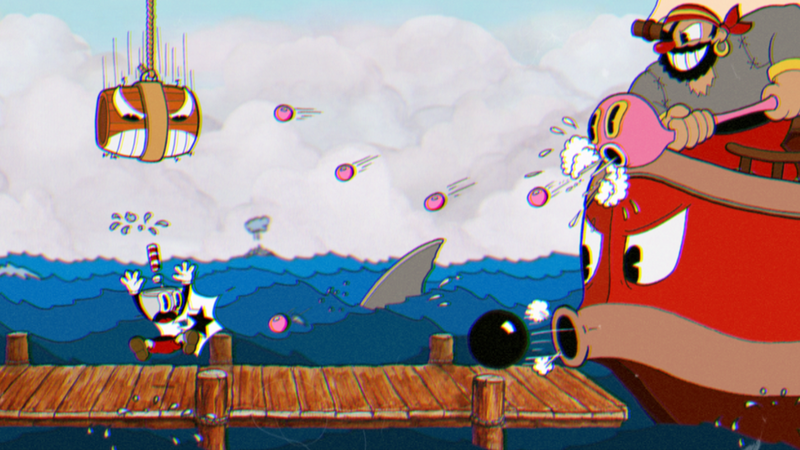 - Pilot Cuphead's blazing fighter plane in fast action shoot 'em up stages! Screen-filling Bosses! - Test your Skills against giant, fully animated Bosses ready to push your dexterity to the limit! A Zany World Of Adventure! 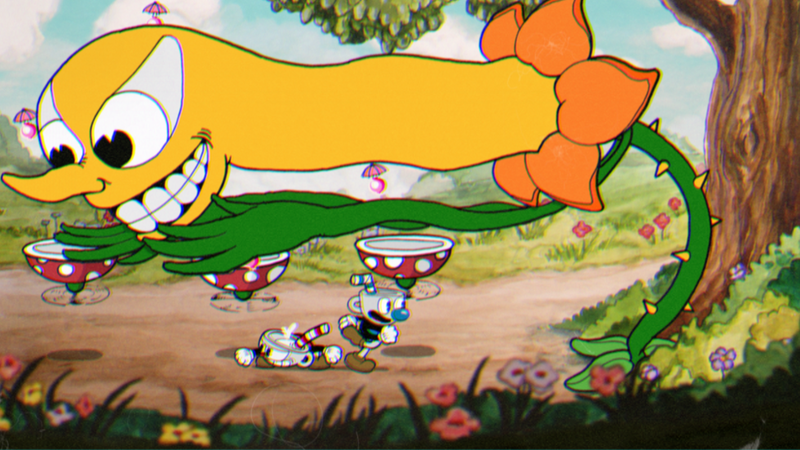 - Travel across the world of Cuphead, gaining powers, defeating opponents, and saving the land! 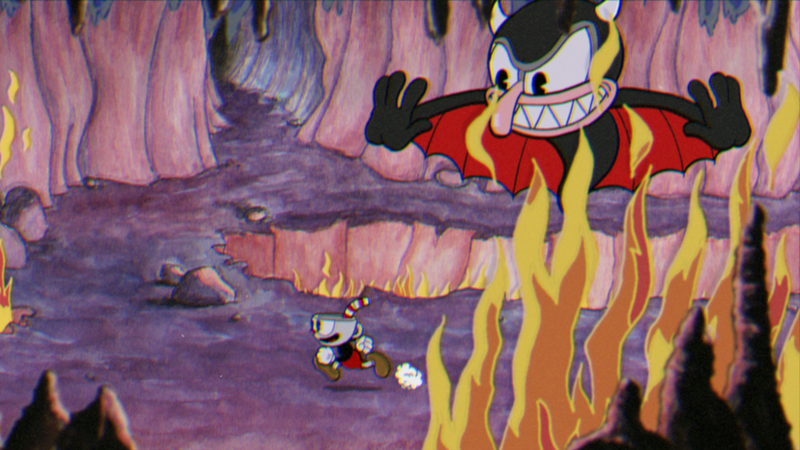 Cuphead will be available in 2016 for Xbox One & Steam. This page was last edited on 25 October 2017, at 00:54.